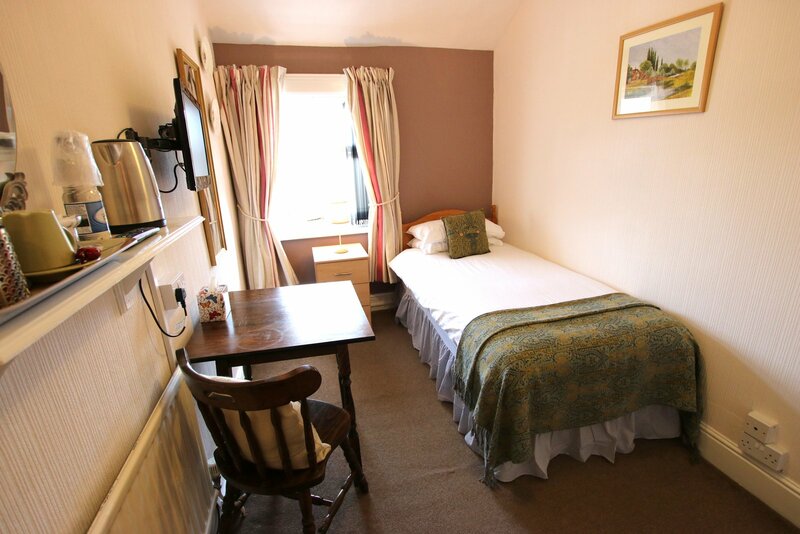 You will find a fascinating choice of rooms at Greylands Guesthouse in Llandrindod Wells. All the rooms have character and style of their own. With attention to detail and meticulous cleanliness standards, they are all comfortable, spotlessly clean and interesting. With antiques and work of local artists gracing every room, the finishing touches are all designed to make you feel at home. Visitors to Greylands can choose between family rooms, double rooms, twin bedded or single rooms. All have en suite facilities apart from one single, which has access to a bathroom close by. 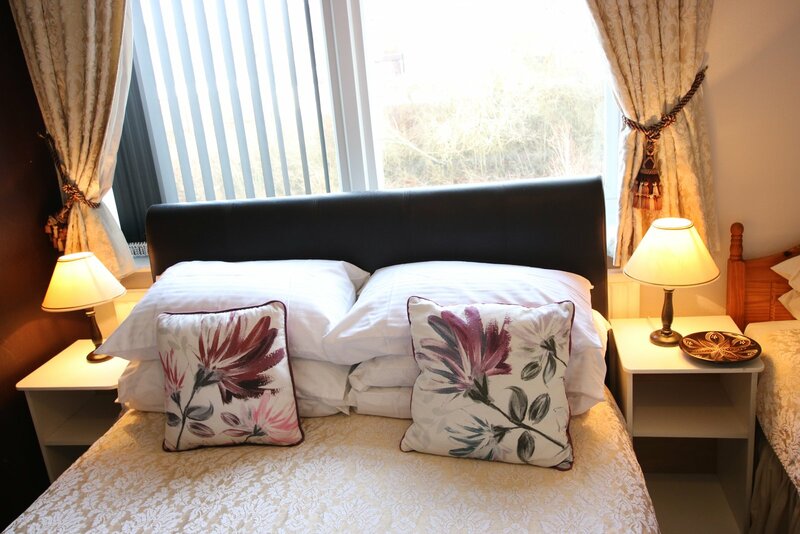 All rooms have television, radio alarm clock and hot drink making facilities. There is free wifi access for guests who need to stay in touch or work while here, and all our guest rooms have blackout blinds for peace, quiet and privacy of our guests. 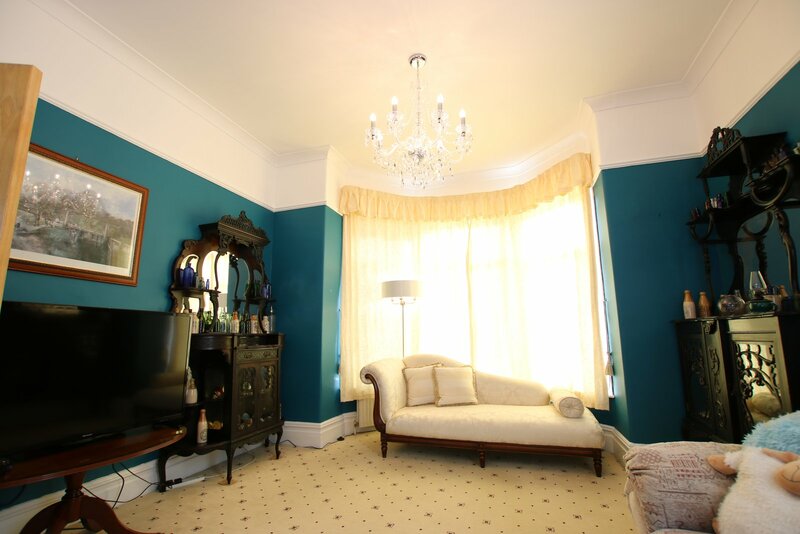 The breakfast room is conveniently situated on the ground floor at the back of the house. Large windows give great views over the hills, and there is a welcoming hot stove for cold days. The whole room is filled with light and gives a great atmosphere in which to start your day. Breakfast for vegetarians and meat-eaters alike will give you a good fuelling up for a hard day of sightseeing, visiting or work. Whatever you are here in Llandrindod Wells for, you will enjoy the atmosphere and food in our breakfast room. 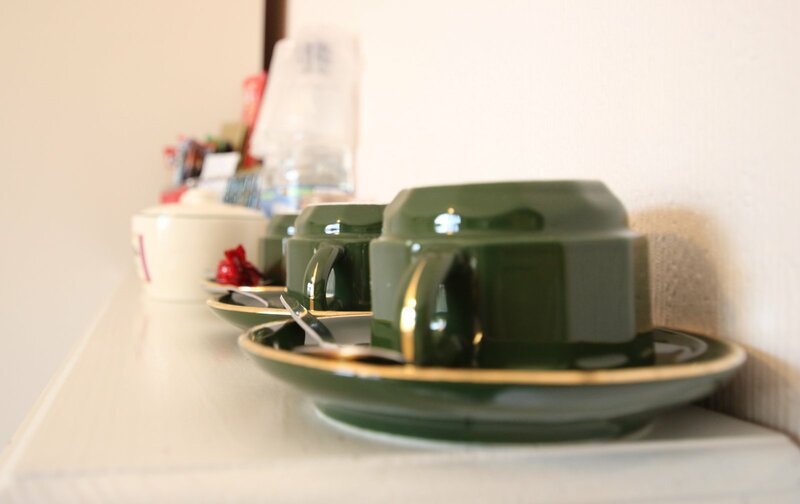 Click here for room galleryGuests are welcome to use the breakfast room in the evenings for consumption of take-away meals from any of the local outlets. Outside areasGreylands Guesthouse is situated very close to the centre of the town, directly opposite the railway station, tourist guide and car park, which hosts the local market too. There is a large supermarket just a short walk along the road and there is a wide selection of shops in the town, just over the railway bridge. The choice of places to eat and drink is varied, from cafés and pubs to restaurants serving British, Chinese, Indian and Thai cuisine. There are numerous take-away outlets offering a great choice too.